Wat Phanan Choeng is one of the most famous temple in Ayuttaya which features a big Buddha in the main hall surrounding by walls filled with Phra Chai. 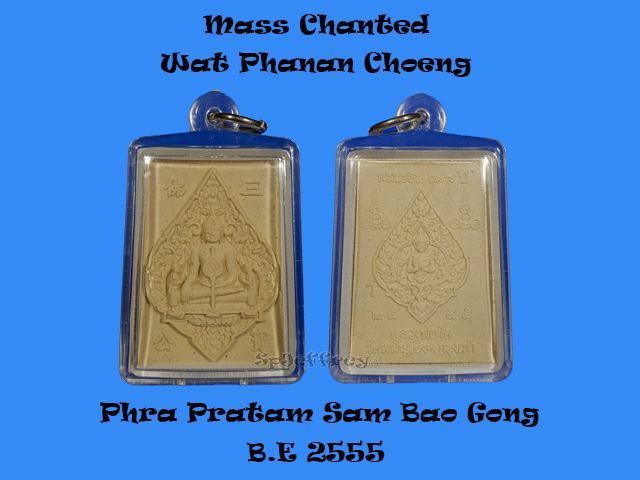 Chanted in B.E 2555 Saoha which many people believes that amulets chanted in Saoha holds great power to it. Wrapped with temple plastic case and ready to wear. An all rounder amulet suitable for all walks of life and all line of work.